Chinese President Xi-Jinping’s campaign against the rights of Chinese minorities remains restless, not only within the borders of the Asian country but also in the rest of the world. 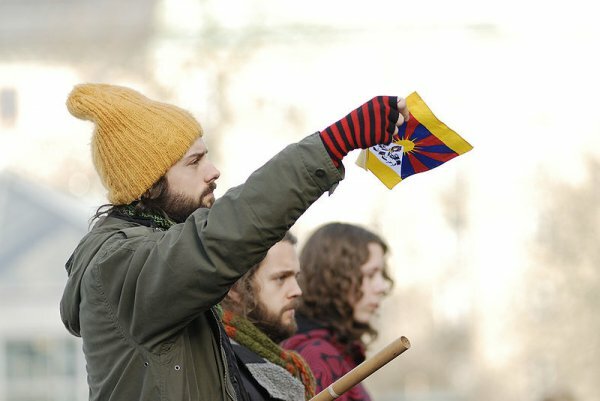 As Swedish authorities uncover the actions of an alleged spy working for Beijing, questions regarding the safety of Tibetans in exile have been raised. This strategy of silencing dissident voices abroad also affects other Chinese minorities, such as Uyghurs, and is compounded by manipulating and influencing international mechanisms and institutions, such as Interpol or the United Nations, to discredit the most prominent leaders of the Uyghur and Tibetan human rights movement abroad. A 49-year-old man has been charged in Sweden for spying on exiled Tibetans for the Chinese government. The man is accused of supplying the Chinese government with information on where exiled Tibetans live, their family relationships, and their travel plans. He carried out his suspected espionage on "certain people of importance to the Chinese regime" Swedish prosecutors said, primarily through attending political meetings of the Tibetan diaspora in Sweden and elsewhere in Europe. His purpose was to "pass this information to representatives of the Chinese state". Swedish prosecutor Mats Ljungqvist told Swedish broadcaster SVT that he man had been in contact with Chinese officials in Poland and Finland, and was paid 50,000 kronor ($6,000) on at least one occasion. Ljungqvist said the crime was serious because the man was deeply embedded in the Tibetan community and "could have caused or still cause a large number of people serious harm". Jamyang Choedon, who chairs the Tibetan Community in Sweden organisation said the decision to charge the man was a breakthrough. "It is clear that there are spies who are sent by China to Tibetan communities, but this is the first time it’s been officially investigated," she told The Local. "It will be interesting for us to know if it's really true or not. We've heard that it's happening, but now we might have evidence."